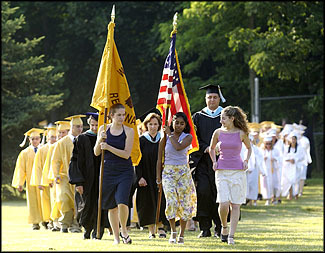 Warren - Watchung Hills Regional High School celebrated their 45th commencement with the class of 2002, on Thursday June 20, 2002. 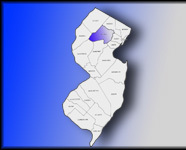 Students of Long Hill Township, Morris County, attend this school in Somerset County. 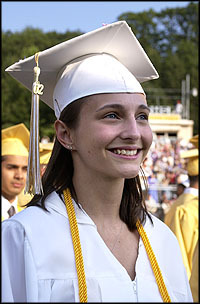 (top left) Nicole Sposobiec, is all smiles, as she joins fellow class mates, in the graduation ceremony.